The religious complex at 32-44 Cavanagh Street, Cheltenham comprises an area of approximately 17 acres of partly landscaped grounds and two major buildings, being Retreat House (formerly the House of Mercy) built in 1892 and the Community House built in 1936, plus related chapels and other buildings. In 1885 the Melbourne Diocese of the Church of England formed the Diocesan Mission to the Streets and Lanes. 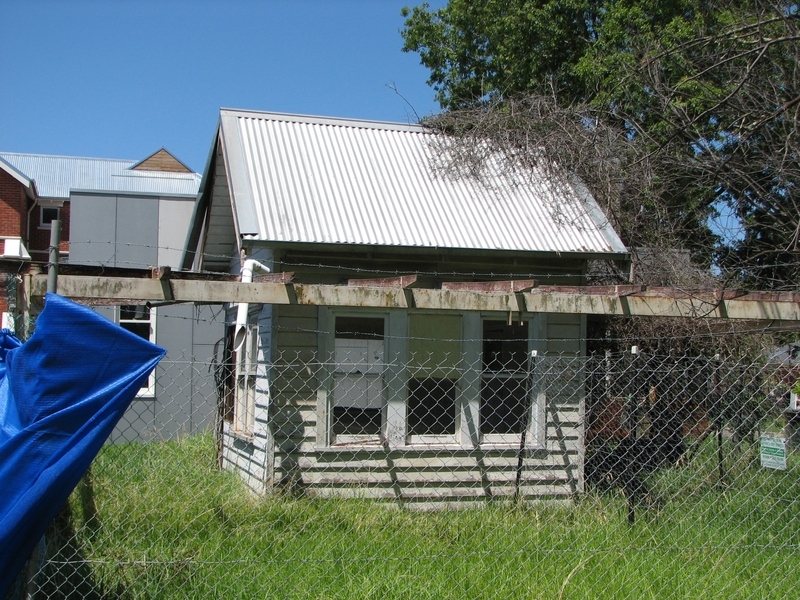 The Mission, overseen by a Council, provided Christian outreach and welfare as an Anglican response to urban poverty and was initially based in Little Lonsdale Street, Melbourne. The Bishop of Melbourne commissioned deaconesses to be attached to the Mission, and the first Sister was Emma Caroline Silcock (Sister Esther) appointed in 1888. 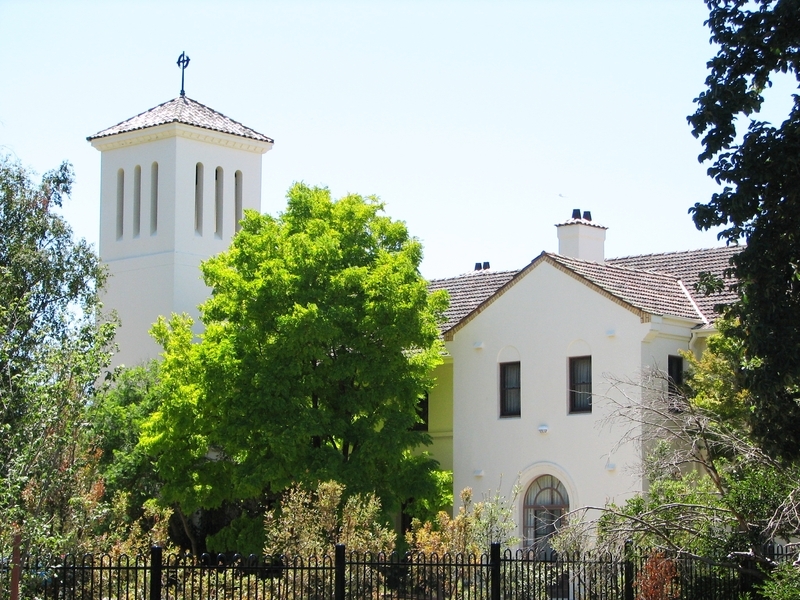 The Sisters adopted an English model that was influenced by the nineteenth century Oxford Movement, and when their Charter was given in 1912 established themselves as the Community of the Holy Name. Soon after establishing the Mission, the Mission Council raised money to build a country home for 'fallen and friendless women'. Eight acres in Cheltenham, then a rural area of market gardens, were purchased in October 1889. The two storey red brick building completed to a design by architects Hyndman and Bates in 1892 was called the House of Mercy. It provided accommodation for two sisters and twelve women. Extensions were added in 1908 and 1938. Supervised by Sisters, the women worked in the laundry and ironing rooms, which provided a major source of income. Elementary teaching and religious instruction was provided. 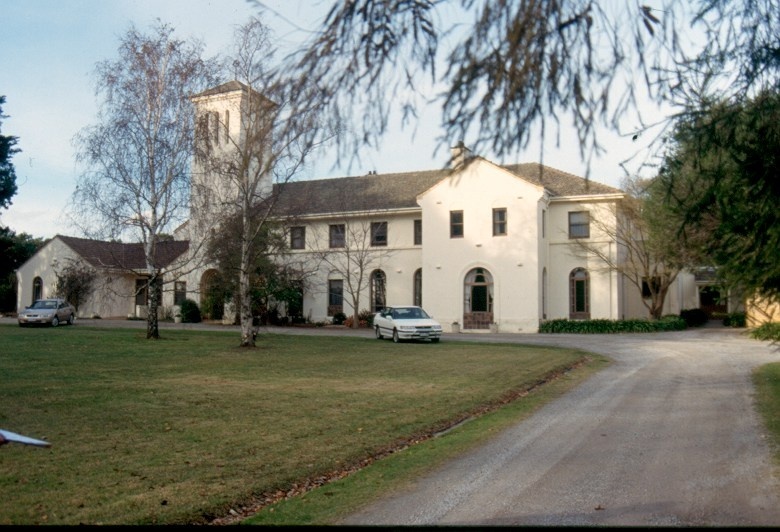 The operation finally closed in 1946 and the house became a spiritual centre and retreat for the Diocese of Melbourne, known as the Retreat House, administered by the Sisters of the Community of the Holy Name. In 1963 Blyth and Josephine Johnston designed a distinctive coloured glass memorial chapel addition. The 1892 building became known as Retreat House. By the 1930s the Sisters needed a headquarters of their own, a place for novices to be trained as well as a retirement place for older sisters. Four acres adjoining the House of Mercy were acquired by the Community of the Holy Name in 1934. The Community House was built from funds raised by the Sisters to a 1935 design by architect Louis Williams. The two storey Spanish Mission style building has white stucco walls, metal frame arched windows, tiled roof and a campanile. The chapel added in 1940, also by Williams, was finished in a similar style. Later additions, by Williams and Blyth and Josephine Johnston, include extensions added in the 1950s and 1960s, and a chapel and infirmary in 1968. The Community House is approached by a sweeping gravel drive. Two rows of closely planted Monterey Cypress along the driveway serve to frame the building, enclose the garden space, and provide an important windbreak and screen. A large centrally positioned Pin Oak dominates the front garden, and this deciduous tree, displaying red autumn foliage, is a contrast to the dark evergreen cypress planting. The landscape of the Retreat House is an apparently random mix of native and exotic species of a mixed age enclosing the House. The planting is dominated by a stand of five large Pepper Trees on the south side of the House, which together with the straight drive running along the south boundary gives a rural landscape character to the property. 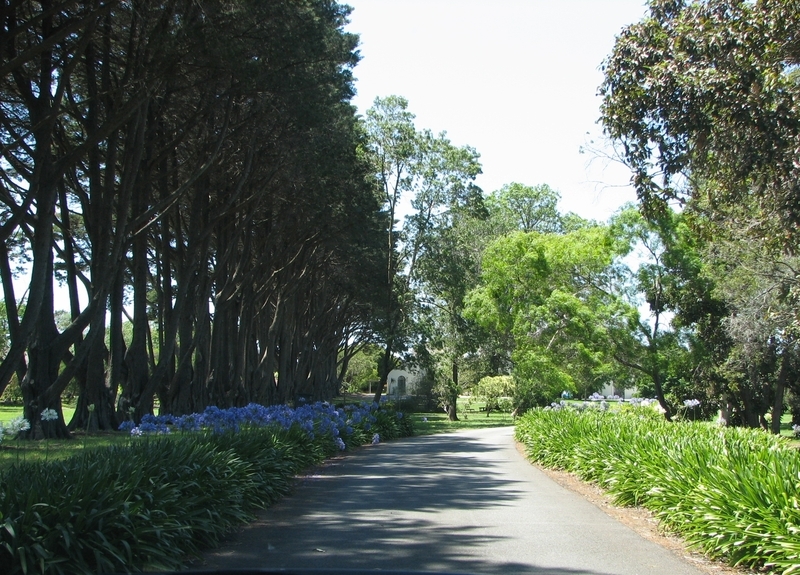 A small circular flower bed opposite the front entrance is bordered by a path which extends across the front and connects to the drive. A large spreading English Oak is planted in the centre of the rear courtyard and is an important landscape feature. The Community of the Holy Name is of historical, architectural and aesthetic significance to the State of Victoria. 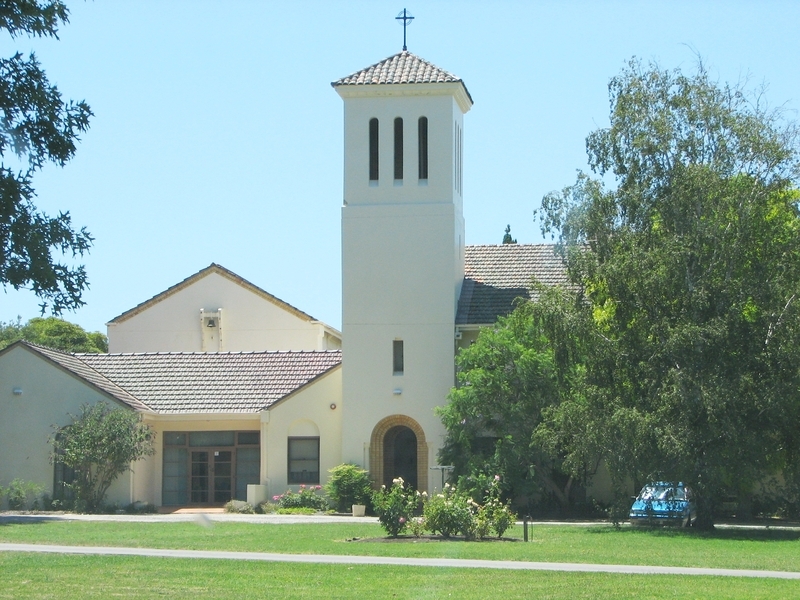 The Retreat House, formerly the House of Mercy, is historically significant as an example of an Anglican extra-parochial welfare facility, providing a female refuge and reformatory, and from 1946 a centre for retreats and spiritual opportunities for groups and individuals. The Community of the Holy Name was the first Anglican order to be founded in Australia, and made a significant contribution to social welfare in Victoria. It remains one of only four such communities in Australia. 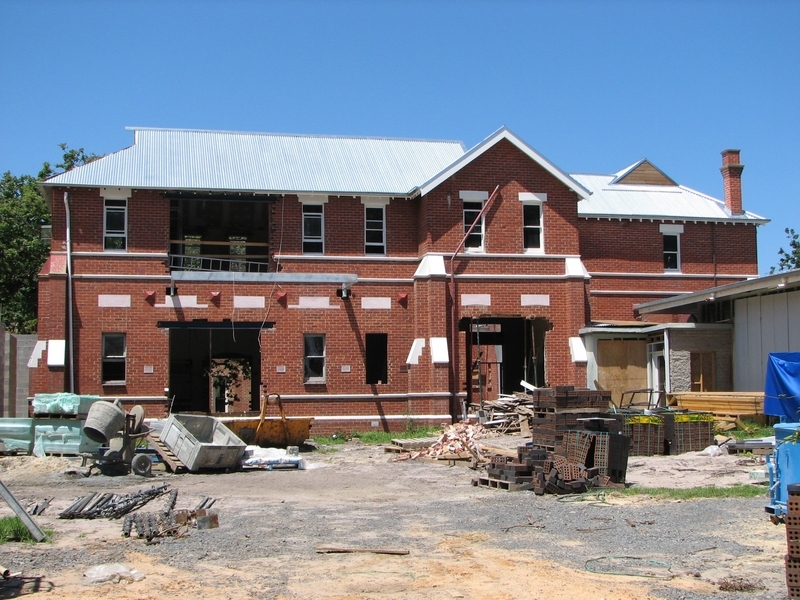 The establishment of Community House was lauded as the first religious house of the Church of England in Australia, purpose built as the headquarters of the Community, and for the training of novices. The Community House is architecturally significant as a major example of Louis Williams' religious work. The Mission style incorporates an Arts and Crafts approach that was a familiar part of Williams' prolific output for the Anglican Church. The Chapel added in 1940 is a wonderfully restrained and reposeful building, and is one of Williams' finest works. The Retreat House is architecturally unexceptional, but contrasts dramatically to the progressive design in coloured glass for the Chapel added in 1963. The landscape setting contributes to the significance of the site. The mixture of some formal elements with informal planting and apparent organic development provide a landscape response to the lives of the Sisters. The contrasting sheltered areas and wider lawns provide for meditative seclusion, and contemplative spaces. The semi-rural aspect to the landscape at the Retreat House is a reminder of the original use of the site as a country refuge away from the city. 1. 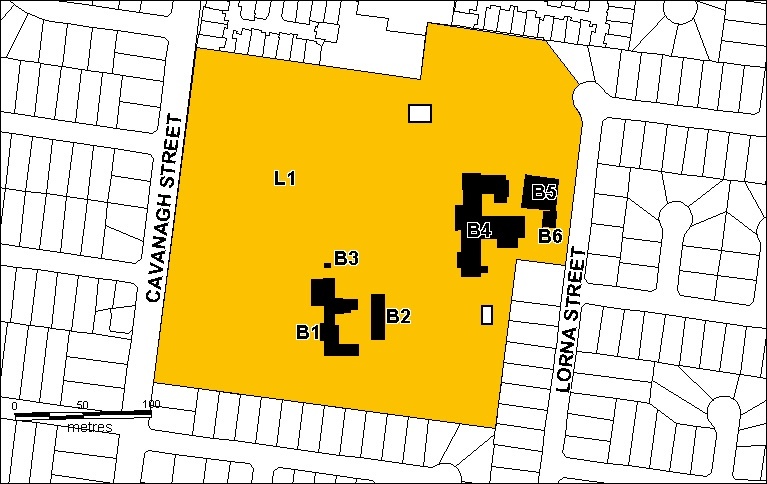 All the land marked L1 shown on Diagram 2008 held by the Executive Director. 2. All the buildings and structures marked as follows on Diagram H2008 held by the Executive Director. In 1885 a Church of England Diocesan Mission to the Streets and Lanes was established to provide Christian outreach to the inner areas of the city of Melbourne. The Mission was staffed by volunteers, including a small band of women under the direction of Sister Esther, the founder of the religious order, the Community of the Holy Name. This community later provided staff for the House of Mercy in Cheltenham, which was a home for women and girls between 1892 and 1946. Sister Esther agreed to direct the work of the Mission in the late 1880s. First to work with Sister Esther were Ellen Okins and Christina Cameron who later became Sister Christina of the Community House and Retreat House and who is remembered in the name of Cameron Cottage. These three women living in the Mission House assisted by voluntary helpers continued to serve the destitute, the ill, the poor and the lonely. Despite this commitment to welfare within a framework of church inspired social conscience, there was controversy about the dangers associated with living and working among people from the more 'degraded and criminal' sections of society. There was also criticism of the dress worn by the women. They dressed in dark serge habits, belted at the waist, with stiffly starched collars and cuffs and their hair drawn back behind white headwear. There was concern that this image, rather than depicting Protestant values, reflected the influence of the Roman Catholic Church. As the work attracted more attention, people expressed a growing sense of ill will and resentment directed at this small band of women living in community. Evangelical forces who believed they had approved the revival of the 'primitive' order of deaconesses serving under the authority of pastor and bishop saw instead an independent group of women, living as a community and carrying out their daily activities without apparent masculine control. Bishop Field Flowers Goe, Bishop of Melbourne in 1887-1901, was supportive of the work of the women but as they sought Episcopal recognition he too became fearful of an organised religious community and so proffered them the position of deaconess. This offer was rejected by Sister Esther who believed implicitly in her God given vocation of a religious life, although she had never taken her final vows. A compromise was reached in the training of two probationers, Ellen and Christina, culminating in their admittance by the bishop. The public ceremony in 1890 was preceded by their admittance into full membership of the Community by the Reverend Godby who in 1900 became Warden. In 1891 nine women pledging their prayerful support were admitted as Associates of the Community of the Holy Name. By 1900 the Mission had a staff of six deaconesses and one probationer. However, it was not until 1911 that Sister Ida, later to become Mother Superior of the Community, became the first Sister to make her Profession before the Archbishop in the Diocese of Melbourne. Final recognition and acceptance for the Community of the Holy Name came in the form of the Charter presented by Archbishop Henry Lowther Clarke, who later became President of the Mission Council. In the 1890s Melbourne was experiencing a severe depression. In addition to other Christian programs seeking to address the needs of the poor, the Community staff were having great difficulty in finding places of refuge for the women and girls whom they believed the Mission was rescuing from 'immoral lives'. There was concern too for the 'neglected children whom they found in the streets or who were brought to them by the police'. So the Chaplain and Mission Council set out to raise money to build a 'country home' to serve this purpose. Eight acres were purchased at Cheltenham in October 1889 and the building of one wing with accommodation for two Sisters and twelve women at a cost of £1,422 commenced. Market gardens surrounded the Cheltenham property. On 15 June 1892 the House of Mercy in connection with the Melbourne Diocesan Deaconess' Home and Mission to the Street and Lanes was officially opened by Countess Hopetoun, the wife of the Governor of Victoria. •Repainting of previously painted surfaces in the same colour. •Installation, removal or replacement of hooks, nails and other devices for the hanging of mirrors, paintings and other wall mounted art or religious works or icons. •Installation of honour boards and the like. •Removal or installation of notice boards. •Refurbishment of existing bathrooms, toilets and kitchens including removal, installation or replacement of sanitary fixtures and associated piping, mirrors, wall and floor coverings. •Removal of tiling or concrete slabs in wet areas provided there is no damage to or alteration of original structure or fabric. * the erection of temporary signage, associated with sales and marketing activities at the site, to remain only during the period of marketing. * the construction of a temporary sales and information centre, associated with sales and marketing activities at the site, to remain only during the period of marketing. * the installation of any in-ground services associated with residential development of the site. * temporary site buildings with construction and works. * temporary and protective fencing. *all site contamination testing and remediation works. * all site works associated with drainage and water retardation. The purpose of the permit exemptions is to allow works which do not impact on the significance of the place to occur without the need for a permit. Alterations which impact on the significance of the exterior and interior are subject to permit applications. It is acknowledged that trees will eventually die and gardens require constant renewal and planting changes will be necessary. This may be due to the growth of trees creating new micro-environments, plant diseases or inappropriate original plantings which are not suited to the environmental conditions. The unavailability of plant species and changes to maintenance and cost considerations may require species substitution. The process gardening, weeding, mowing, pruning, hedge maintenance, and replanting is acknowledged as being important for the conservation and welfare of gardens and is not restricted.